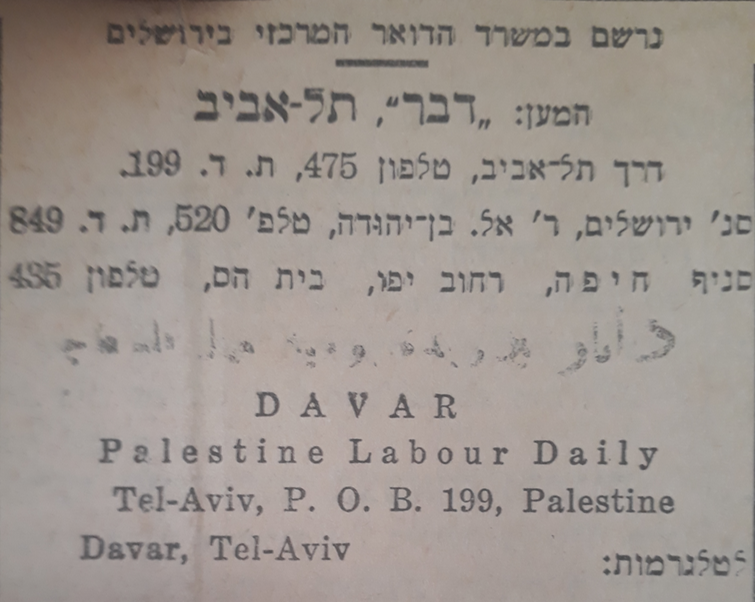 The imprint identifies the English name as "Palestine Labour Daily". The day's head article is about recent developments in Egypt. "Approaching an end of good government"
Politics in Egypt were apparently as weird and confusing then as they are now. The article talks about members of the Egyptian Wafd party (which supported independence from England and generally formed the Egyptian governments until the Arab nationalist revolution) and a banned national convention apparently of the "Resistance Front". Lots of names are mentioned including Mohammed Mahmoud (prime minister twice from 1928 to 1929 and from 1937 to 1939), Ahmed Zeiwar (prime minister from 1924 to 1926), and Mustafa el-Nahas (prime minister several times and often for just a few days). Everyone is against everybody else and I cannot figure out what's actually going on. 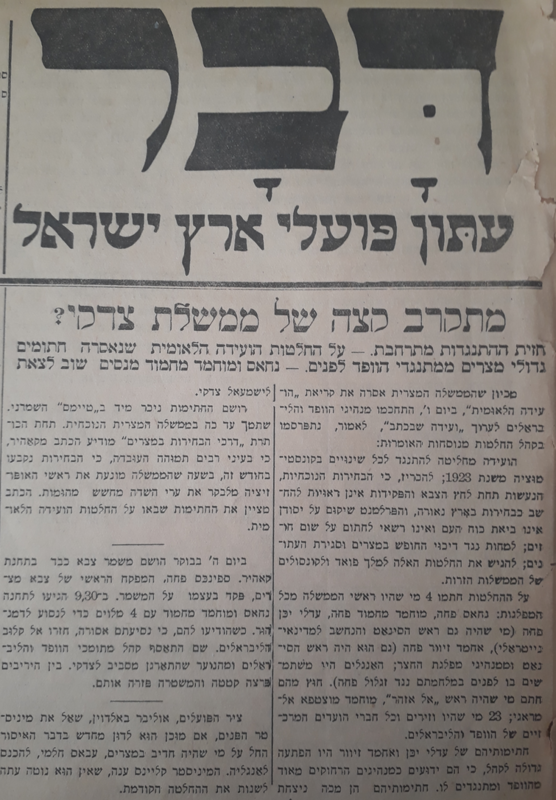 It must have been a lot clearer back in the day or perhaps the "Davar" ("word" or "thing") newspaper is just really weird. Police dispersed protesters too. It's a mess!